Intel has beat analysts' estimates for quarterly profit and revenue, driven by its high-margin data centre business and strong demand for its PC chips. The vendor’s 39 per cent rise in profits and better-than-expected fourth-quarter forecast should come as a relief for investors after three days of grim news from other major chipmakers that have shaken stock markets globally. Amazon and Alphabet also reported disappointing earnings, sending technology stocks down in after hours trading. Intel executives do not see any near-term weakness from the trade tensions or Chinese economy, despite the fact that large data centre customers like Baidu and consumer PC factories are located there. But Intel's share gains in extended trading diminished to less than 1 percent when interim CEO Bob Swan said trade tensions could be a "headwind" in the longer term next year. Texas Instruments, STMicroelectronics NV and SK Hynix have all warned of slowing demand for the remainder of the year. Swan told Reuters the PC chip strength came from computer purchases by business customers in developed economies as well as gamers building high-end machines. Many businesses are upgrading their PCs because Microsoft has said it will end support for some older versions of Windows in early 2020. At first, Intel's results seemed to allay concerns that a trade conflict between the United States and China or a slowdown in the Chinese economy could drag down the global chip business. "We'll be working with our domestic Chinese customers and our global [PC manufacturers] to adjust and adapt the supply chain to deal with constraints," Swan told Reuters in an interview before holding a conference call with analysts. But later on the call, Swan conceded that the trade tensions could a "headwind" for Intel in 2019, though the company has not specified how much sales could suffer. Also boosting Intel sales this quarter was its business for modems, which connect smart phones to wireless data networks which was up 131 per cent in the quarter. The gain resulted from Intel completely replacing rival modem supplier Qualcomm in the most recent models of Apple’s. But Swan said the modem sales are also pressuring Intel's margins and contributed to the firm lowering its fourth-quarter operating margin outlook to 34.5 per cent. "That being said, what the modems and memory do for the company is allow us to play in a much larger market," he said. Intel forecast current-quarter revenue of US$19 billion and adjusted earnings of US$1.22 per share. Analysts on average were expecting revenue of US$18.40 billion and a profit of US$1.09 per share, according to Refinitiv data. Intel has been increasingly catering to a booming data centre market as revenue from PCs has flattened since 2011. Revenue from its data centre business rose 25.9 per cent to US$6.14 billion in the quarter, while analysts were expecting revenue of US$5.89 billion, according to financial and data analytics firm FactSet. Rival Advanced Micro Devices, which has been gaining ground with its new EPYC chips for servers, reported a better-than-expected quarterly profit but forecast fourth-quarter revenue below estimates due to falling demand for its graphics chips from cryptocurrency miners. 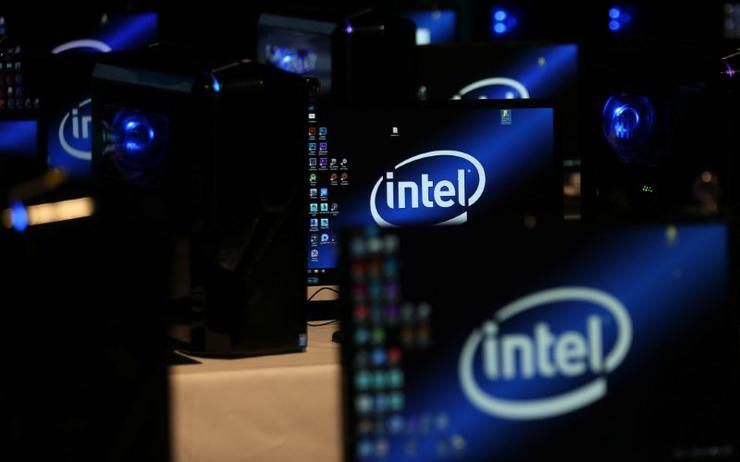 Revenue in Intel's client computing business, which caters to PC makers and is still the biggest contributor to sales, also rose 15.5 per cent to US$10.23 billion, beating FactSet estimates of US$9.33 billion. Intel's PC sales have trended positive in recent quarters, lifted by stronger demand. Many businesses have started the process of buying new PCs because Microsoft has said it will end support for Windows 7 in early 2020. "There's been really strong demand for both the consumer and enterprise for PCs which helped. They also did a great job managing through some supply disruptions," said Elazar Advisors analyst Chaim Siegel. Intel recorded a US$290 million charge as a result of Micron Technology’s decision to buy out Intel's portion of a memory fabrication plant in Utah where the two had partnered to build advanced memory chips, a move analyst Patrick Moorhead of Moor Insights & Strategy called "negotiation tactics." He expects the two to find a way to work together. Intel's Swan told Reuters that Intel has retained its rights to the technology and intends to eventually build its own factories to produce the chips. "Despite their announcement, we will still have access to supply from the fab for the next 18 to 24 months, and that will give us time to explore the alternatives we have to produce the product," Swan said. On an conference call with investors, Swan said he expected capital expenditures on memory chips to be "a little bit lower" in 2019 "despite building self sufficiency" after Micron's move. Net income rose to US$6.40 billion, or US$1.38 per share, in the third quarter ended 29 September from US$4.52 billion, or 94 cents per share, a year earlier. Excluding items, the company earned US$1.40 per share. Net revenue rose 18.7 per cent to US$19.16 billion. Analysts on average were expecting adjusted earnings of US$1.15 per share and revenue of US$18.11 billion.